… after the CHF 1000 note. … we would expect that abolishing a note that represents almost 30% of the total Euros in circulation would be negative for the currency, keeping everything else constant. The share of the €500 note in the total value of Euros in circulation has been falling since 2009 and this has coincided with a weakening Euro in real effective terms. This is not evidence of causality, but we should not ignore it. As the Treasury chart above shows, $100 bills account for for $1.08 trillion of the $1.38 trillion total in circulation. 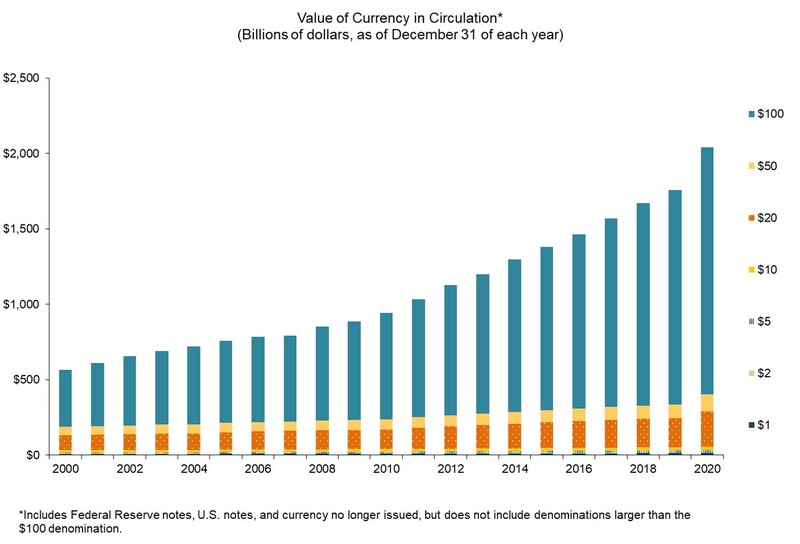 So should the Fed react to the ECB’s “scrapping” of the €500 bill, which accounts for 30% of the value of currency in circulation, then the Fed would respond in kind, by eliminating 78% of all paper currency in circulation by value.